World War II » Reunion celebrates escape from the Nazis. 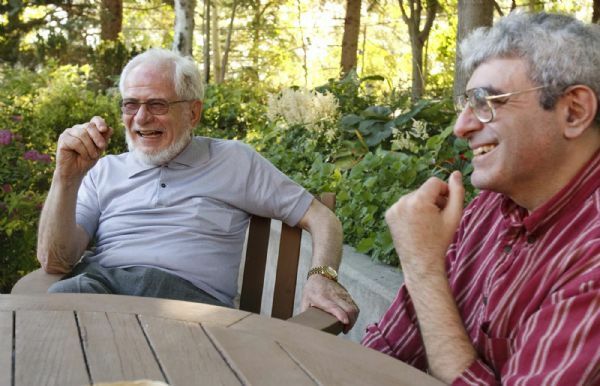 Trent Nelson | The Salt Lake Tribune University of Utah physics professor Dany Mattis, right, met Ari Mendes for the first time in Salt Lake City on Saturday. Mendes' grandfather, Aristide de Sousa-Mendes, was instrumental in saving Mattis' family from the Holocaust. The meeting was arranged almost entirely due to chance, through Facebook, by Mattis' daughter, Olivia Mattis, center. 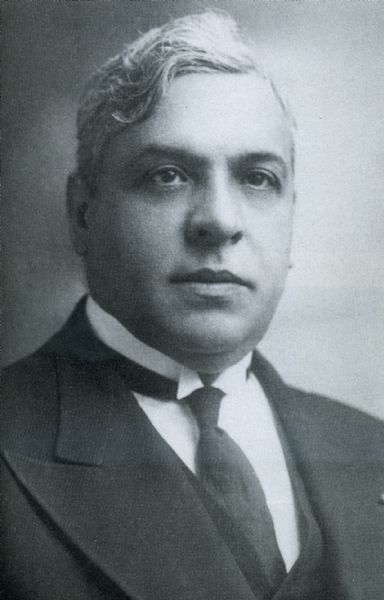 Aristides de Sousa Mendes, Portugal's consul in Bordeaux who issued 30,000 visas to war refugees in defiance of President Salazar. 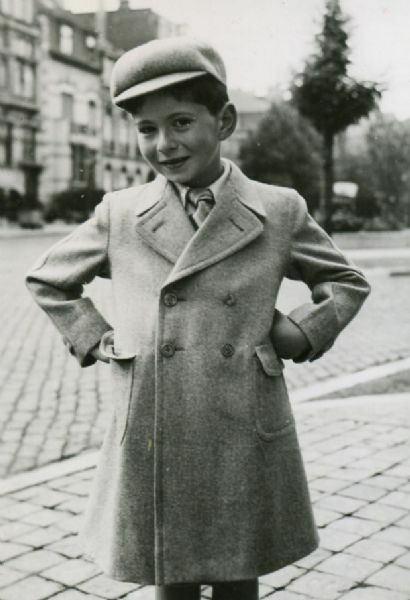 Seven-year-old Daniel Mattis in Brussels, before his family fled the Nazi invasion of Belgium and escaped to Bordeaux. 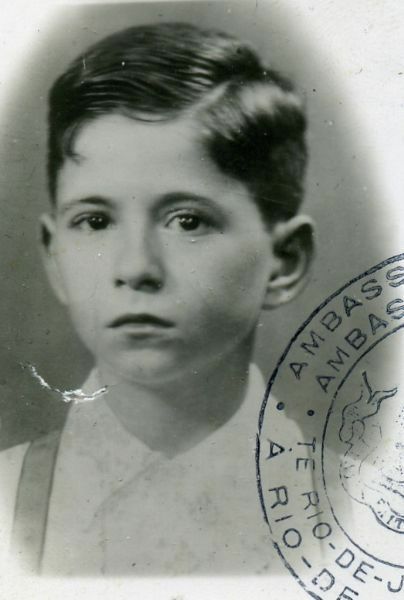 Daniel Mattis, now 8 years old, in Brazil before his family immigrated to the United States. 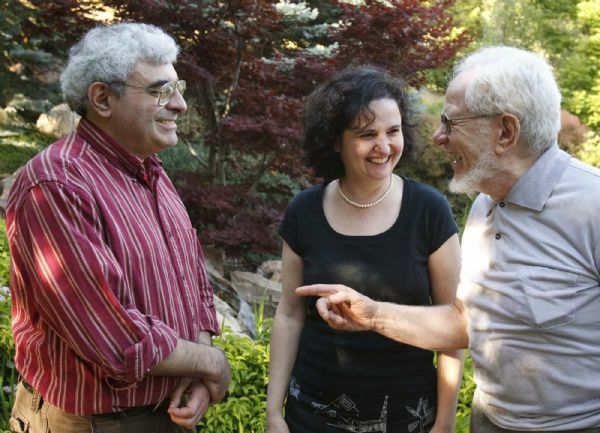 Trent Nelson | The Salt Lake Tribune University of Utah physics professor Dany Mattis (left) met Ari Mendes for the first time in Salt Lake City, Saturday July 3, 2010. Mendes' grandfather, Aristide de Sousa-Mendes, was instrumental in saving Mattis' family from the Holocaust. The meeting was arranged almost entirely due to chance, through Facebook, by Mattis' daughter Olivia Mattis (at center right). Also pictured his Dany Mattis' wife Noemi Mattis. Trent Nelson | The Salt Lake Tribune University of Utah physics professor Dany Mattis (left) met Ari Mendes for the first time in Salt Lake City, Saturday July 3, 2010. Mendes' grandfather, Aristide de Sousa-Mendes, was instrumental in saving Mattis' family from the Holocaust. The meeting was arranged almost entirely due to chance, through Facebook, by Mattis' daughter Olivia. Trent Nelson | The Salt Lake Tribune University of Utah physics professor Dany Mattis (left) met Ari Mendes for the first time in Salt Lake City, Saturday July 3, 2010. Mendes' grandfather, Aristide de Sousa-Mendes, was instrumental in saving Mattis' family from the Holocaust. The meeting was arranged almost entirely due to chance, through Facebook, by Mattis' daughter Olivia. Daniel Mattis tried for years to contact descendants of the Portuguese diplomat who, in 1940, granted his family visas necessary to escape the Nazis. Aristides Mendes grew up during years in which his mother worked tirelessly for recognition of his grandfather's efforts to save thousands of war refugees. Saturday evening the paths of the two men crossed at last in a reunion across 70 years of history that began as a Father's Day gift idea from Mattis' daughter, Olivia. 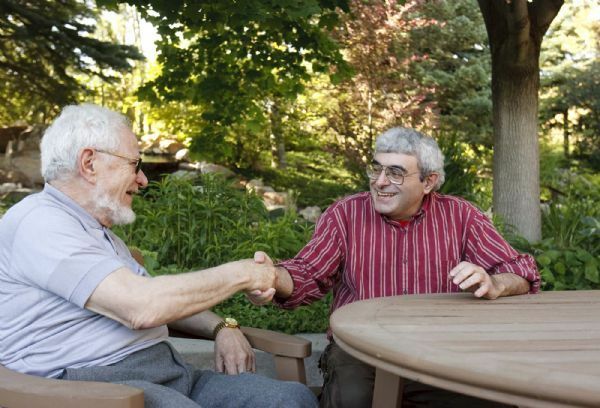 When Mattis, a University of Utah physics professor, opened the door of his Salt Lake City house to greet the grandson of Portuguese diplomat Aristides de Sousa Mendes, it was a moment so charged with awe, quiet awkwardness and gratitude that neither could speak. "I tried in vain to think of the proper analogy," Mattis said. "It's as if you're introduced to the person who donated his kidney to you. How do you say thank you? It's not enough." Noemi, daughter Olivia and her family to watch a French film dramatizing Sousa Mendes' issuance of more than 30,000 visas in direct defiance of Portugal's World War II-era government. It was an act of conscience that dearly cost Portugal's diplomat in Bordeaux, France. Stripped of his post and government stipend by Ant&oacute;nio de Oliveira Salazar, a president who proclaimed Portugal's neutrality during the war but was partial to Hitler, Sousa Mendes lived the remainder of his life in poverty. So thorough was Salazar's punishment that the diplomat's 14 children were compelled to emigrate to find work. For those who study the war and the Holocaust, Sousa Mendes' legacy stands alongside those of Germany's Oskar Schindler, Sweden's Raoul Wallenberg and others counted among "the righteous" who helped Jews and other refugees escape almost certain death. Salazar's infamous "Circular 14" order prohibited visas to Jews, Russians and other "undesirables" fleeing Nazi armies. Sousa Mendes, a devout Catholic, drew his line against Salazar saying, "I would rather stand with God against man than with man against God." Mattis' family members, then bearing the surname Matuzewitz, were among the first to benefit from visas signed by Sousa Mendes. Fleeing their homes in Brussels and Antwerp, they arrived in Bordeaux to line up outside Sousa Mendes' office for a request. From there, the 8-year-old Daniel and his family traveled by train across Spain into Lisbon and went by boat to Brazil until moving to New York in 1941. 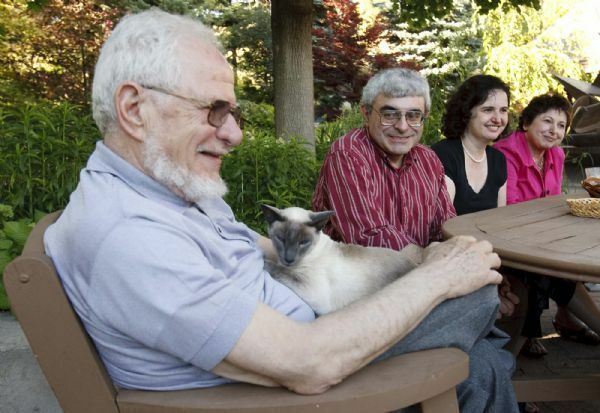 "There's almost nothing that can make him [my father] cry, except to mention the name of Sousa Mendes," said Olivia, a music historian who flew in from Long Island with her husband and son to witness the meeting. at the Jewish state's Yad Vashem Memorial to the Holocaust. Mendes, who goes by the nickname "Ari" and works as a credit-card administrator in Salt Lake City, attended the commemoration. Mendes and Olivia connected through a Facebook page dedicated to Sousa Mendes' legacy only six weeks ago. Astounded that a direct descendant of the man who helped save her father and his family lived so close, Olivia arranged the meeting. Mendes never hesitated. "She [my mother] would be very happy to see a day like this," said Mendes, sitting in Mattis' backyard porch before a celebratory dinner. "My grandfather's story follows everyone in my family around. It's good to see something like this finally happen." Recalling those lost to the Holocaust -- and those saved from it -- carries profound meaning for the Mattis family. Mattis' wife, Noemi, was hidden inside a gentile home in Brussels while her parents fought the Nazis in occupied Belgium. "We should always have witnesses to what happened," Mattis said, "so that our grandchildren -- and everyone's grandchildren -- know what happened." For dinner that evening, Mattis dusted off two 1966 bottles of Bordeaux wine in honor of Sousa Mendes and his grandson Ari. "You can always tell the magnitude of an event," Noemi said, "by the bottle of wine my husband pulls out of his cellar."